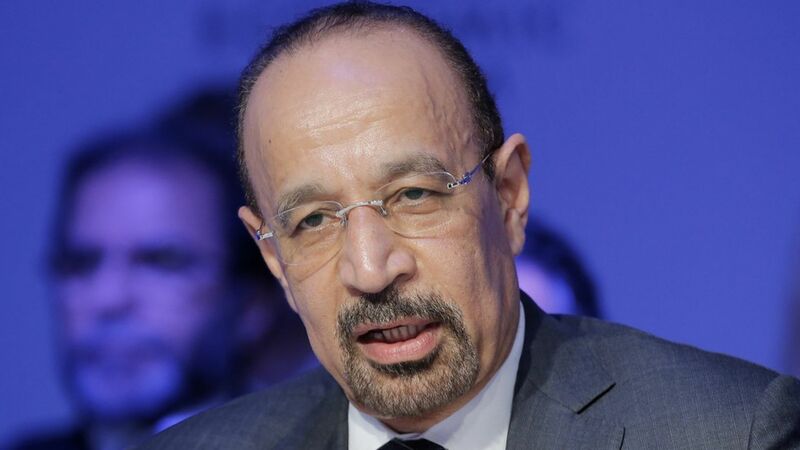 Saudi oil minister Khalid al-Falih told BBC News that he welcomes the Trump administration as bullish for the oil industry. Trump repeatedly blasted Saudi Arabia during his campaign, blaming the country for the 9-11 attacks and arguing that the U.S. must achieve "complete" energy independence and get out from under the influence of "our enemies and the oil cartels." Why it matters: It's easy to criticize fundamentalist Saudi Arabia from the campaign trail for its human rights abuses and because it's the epicenter of Wahabi Muslim ideology, which fuels much of the world's religiously-inspired terrorism. But the Arabian kingdom remains an indispensable source of stability in the global energy markets and a geopolitical partner in the Middle East. Fun fact: al-Falih said he's excited to work with new Energy Secretary Rick Perry, a fellow graduate of Texas A&M.